Today, companies of all sizes have the luxury of choosing from a broad selection of fixed and mobile devices to deploy across their workforce. In the past, the debate was whether to deploy secure and manageable devices that please IT, or thin and light devices that please employees. 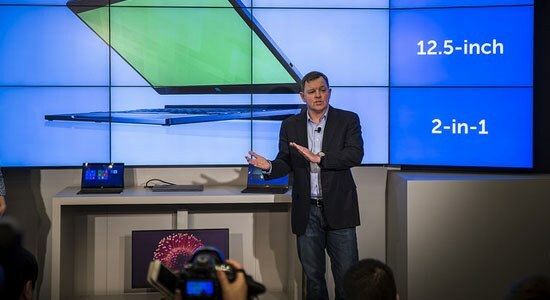 With the introduction of Dell’s new Latitude portfolio recently launched at CES 2016, we eliminated all compromises by introducing a lineup of commercial laptops and 2-in-1s that are secure, manageable, reliable and beautiful. Now company-issued devices are products that employees are proud to own and enable them to be productive no matter where they are. To help ensure all of the great content being generated by the mobile workforce remains secure, we just announced the availability of the Dell Data Protection | Endpoint Security Suite Enterprise. This new commercial PC security suite incorporates Cylance machine learning technology which is designed to proactively prevent malware, as well as a new BIOS verification solution designed to protect devices during the boot process. This BIOS test helps ensure devices remain free from malware by using a secure cloud environment to compare and test an individual BIOS image against the official measurements held in the Dell BIOS lab. Our customers can now be assured that the post-boot image is not compromised as the testing takes place in a secure cloud platform, and not on a potentially infected device. We’ve already heard rave reviews of this new functionality, as well as our vision for future updates to BIOS and UEFI protection solutions. Not only this, but our customers have also expressed their excitement at the wider integration of Cylance technologies into our portfolio. Many of the customers we’ve spoken to – including valued friends at Citation Oil & Gas – have seen the benefits of Cylance first hand and can attest to the benefits in accuracy, visibility and control the technology can provide, and have seen malware incidents that have required direct support from the IT departments drop dramatically. The addition of this security suite also enhances our portfolio of award-winning commercial PC solutions and serves to reinforce our commitment to delivering the most secure commercial PCs available. The BIOS verification feature will be available on Dell’s range of commercial PCs with a 6th Generation Intel chipset, including our new Latitude portfolio, and we’ll be expanding this feature within select Dell Precision, OptiPlex and XPS PCs and Dell Venue Pro tablets. Customers can now leverage best-in-class endpoint security solutions from the Dell Data Protection suite, including comprehensive encryption, advanced authentication and leading-edge malware protection from a single source – and now BIOS verification. Dell’s strength is in our heritage of delivering the world’s most secure, manageable and reliable commercial PCs along with the industry’s most comprehensive service and support. We are dedicated to driving further innovation for these technologies, and at the forefront, is our commitment to enhancing security. By providing the most comprehensive suite of security solutions, we know our customers will continue to trust Dell as a reliable partner for generations to come. The new BIOS verification functionality uses a secure cloud environment to compare and test an individual BIOS image against the official measurements held with Dell offsite.